All Windows users now receiving window10 updates on their computer. After Updating computer from Window-7/8 to 10, you might be first interested in where is MY COMPUTER and CONTROL-PANEL icons? In previews version of windows those icons were easily accessible.But in window 10 you can not easily find it. Here is little trick to make it accessible. If you were upgraded from window 8 to 10 then you might be aware about some technical/non-technical issues, because most of UI and functions looks same as 8. But for those who never used windows metro UI, then they were Probably worried or irritated about new version of operation system. 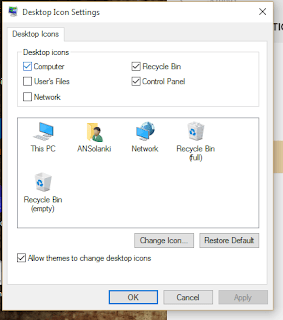 3 Simple step to display your favorite desktop icons in window 10. Step 1. 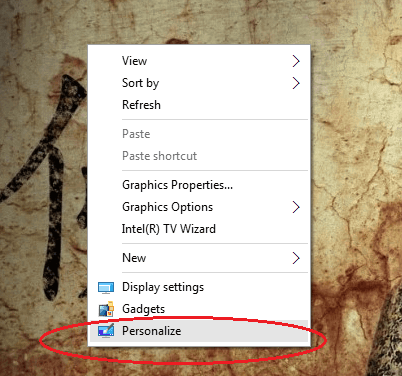 Right click on desktop and click on Personalize. Step 2. Click on Themes tab>>Desktop icon setting as show in image below. Step 3. Check ALL icon that you want to display it on desktop.Here This Pc is your My computer. 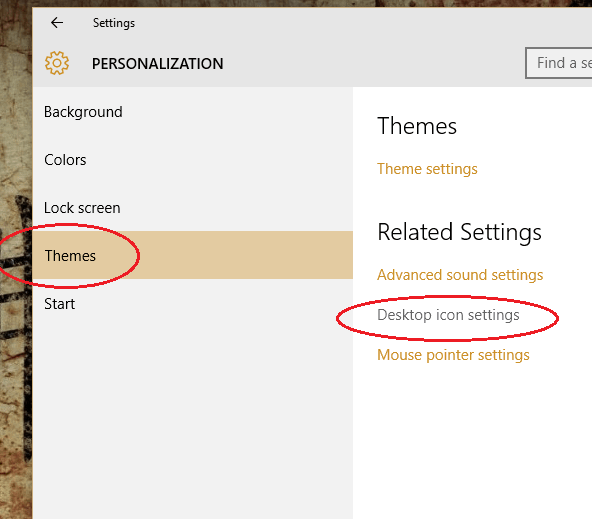 Now You can see your favorite desktop icons like on window 10!